A math teacher turned coder. A lot has changed since this article was published a year ago. It’s really hard to keep your writing updated. I think I’ve for the most part succeeded this past year and these articles will be helpful to you. But I want to warn you that there may be updates in dependencies or Gutenberg itself that might need some care if you’re following my examples. I try to write updates as I learn about changes, so also take a look at my most recent posts. Make sure that you have installed and activated the Gutenberg plugin. I use local by flywheel to quickly spin up instances of WordPress. Whichever way you choose to set up your WordPress, you’ll need a folder inside of your plugins folder with your plugin title. * Description: Our first Gutenberg Blocks! // Exit if accessed directly. ➡ Before moving on, go into wp-admin and activate our plugin! 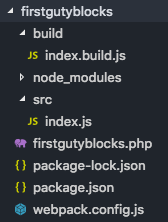 In the terminal, go to your firstgutyblocks folder and init npm. Now… we’re about to actually run webpack. And now if you do “npm run build” again you should have a nice, pleasant, build message! OKAY. NOW we can actually log in to WordPress and open a page or a post. If all goes well, you will now be rewarded with a “A Guty Block is Present!” console log when the editor starts up. You’ll need to reload the editor if it’s already open. The method registerBlockType takes two arguments. The first is the block is the block’s unique name. The second a config object. This config object is where the React part takes over. Let’s fill in that object now. // edit is basically the 'render' function for your block. // It can be a live react app inside the editor. // string, and it is not a live react app. We’ve set up a WordPress plugin to register a Gutenberg block and load this block in the editor. We’ve set up a webpack build process to build all the files we need. Although this static example is not so impressive to look at, I promise that there are some exciting things possible in this new editor. I plan to write some more articles on how to make make interactive and truly WYSIWYG blocks, adding CSS, and doing advanced things like API calls and rendering react applications on the front end. In the meantime, I have a repo of some general blocks I’ve been playing around with if you’re interested. If this is the easy way, I’m not at all sure I want to know the hard way. A lot of people share your feelings here. Admittedly, there is a lot of overhead. 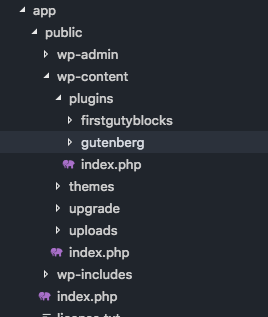 Can we build Gutenberg blocks without using webpack? I’ve always used CodeKit for compiling but having trouble working out what settings it needs to compile for Gutenberg. babel-loader@8 requires Babel 7.x (the package ‘@babel/core’). My npm install is up to date. Thank you! I just updated it. This is the best tutorial for getting started with Guternberg for people who want to keep things organised, not the create-guten-block way. Hope you keep it updated. What a great introduction to this topic, thanks! I came here hoping to find out how to build a Gutenberg block w/o requiring NPM and a build process, so I could learn it incrementally. I have heard it is possible to build blocks without a build process; is that something you could illustrate in a post? In the meantime… take a look at this: Blocks without a build step. I’m going to do my own take of this, but Weston Ruter does a great job showing a library that allows you to use JSX-like stuff without a build step!